Shad Hoshyar is Head of Policy and Public Affairs at Sugarwise, the global kite mark scheme for levels of sugar in food and drink. He liaises with all stakeholders relevant to sugar reduction such as manufacturers, restaurants, and retailers as well as charities and public bodies, focussing on opportunities linked to opening up lower sugar choices. Steering the public debate toward emphasising the importance of improving availability of convenient and easy lower sugar options, and reinforcing Sugarwise’s position as an independent authority for verifying free sugars to governments. Sugarwise provides the only means of analytically determining the level of free sugar in any product without relying on manufacturer supplied composition data, and works with restaurants, cafes and other food and drink retailers to highlight lower sugar options. 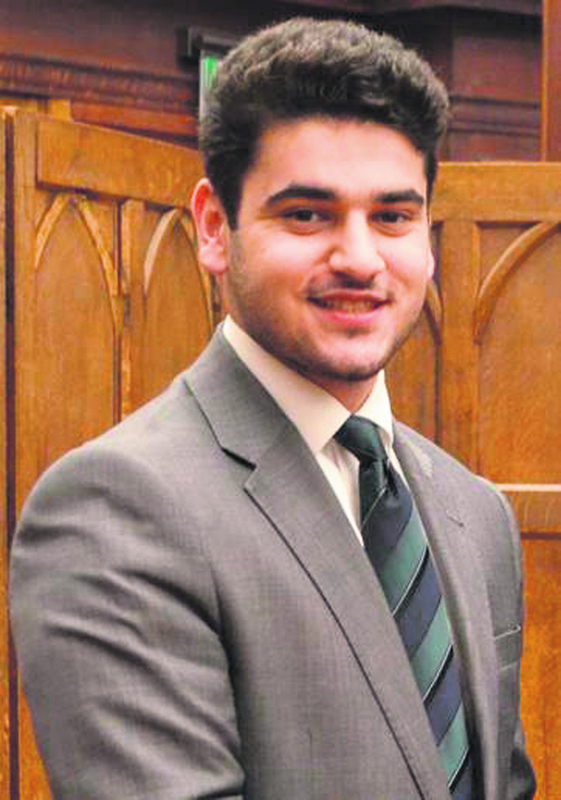 Shad is a member of Pembroke College, Cambridge, President of the Kurdish Society, and has successfully worked on advocacy and public policy in various UK and EU institutions. 1) What is your current position? Head of Policy and Public Affairs at Sugarwise, the world’s only kitemark for lower sugar food and drink, and independent certifier of sugar claims. I focus on helping raise stakeholder awareness of the opportunities and options in food and drink low in free sugars. This is such a rewarding position as I genuinely believe that by working together we can do so much to improve the future health of our children. 2) What are your proudest achievements? When Sugarwise innovated the world’s only scientific technology to differentiate free sugars from overall sugars. It had been tried and tested before, but we finally established a method that was fully verifiable and scalable. We also broke the story about free sugars and helped explain to the public why some sugars are associated with more harm to health than others. About 45 million people around the world, from the UK, to Spain to Thailand have learnt about the difference between the different types of sugars through our media outreach. Seeing opportunities across all parts of society, particularly for disadvantaged groups, inspires me. Individuals from low socio-economic backgrounds are more likely to experience obesity or be diagnosed with diabetes because they haven’t been given the chance to purchase affordable lower sugar alternatives. 4) What has been the biggest obstacle in your career? As a result of being evicted from our family home, my mother and I stayed in a hostel for two months whilst I was studying for my A-Level exams in College. While it would have been easy for this obstacle to derail me, I stayed focused on my work and was rewarded by getting into Cambridge to study Human, Social and Political Science. 5) Who has been the biggest influence on your career to date? It’s not surprising from my last answer that I think my mother has been the most influential. From her courage to flee Kurdistan and walk across Europe to seek asylum in the UK when I was four years old; to her determination I succeed in my education, she has taught me so many invaluable lessons in life. 6) What is the best aspect about your current role? I always get a sense of pride when witnessing our work manifesting positively in people’s lives. A great number of people, particularly those with health issues, like diabetes, rely on Sugarwise’s certified kite mark to verify sugar claims on products, and on the FoodMaestro app, incorporating the Sugarwise filter, to find products low in free sugars. It’s satisfying knowing we make their decisions easier. The worst aspect of my role is when I realise not enough of the population are aware of the differences between free sugar and overall sugars or that delicious low free sugar options exist, that they do not have to give up their favourite things and that reducing the amount of added sugars they consume can not only be achievable, but enjoyable and bring huge benefits. It’s not acceptable to me at all that a child born today is expected to live a shorter life than their own parents, for this reason in particular I am motivated to move the debate on sugar toward the importance of making genuinely lower sugar options more available. Free sugars are more dangerous to people’s health than overall sugars and the more people that are aware of this fact and the more lower sugar choices are made available for people to buy the healthier we will all become. 8) What are your long-term goals? Coming from a Kurdish background I know how little notice the Asian community can give to their sugar intake. I want to demonstrate to people, where sugar is part of the cultural symbolism, that there are zero sugar and low sugar alternatives without losing any taste in their beloved Baklava or Gulab Jamun. 9) If you were Prime Minister, what one aspect would you change? If I ever have the opportunity to be Prime Minister, I would reward small companies offering customers lower sugar options by mitigating their costs through tax incentives. This will in turn help make healthier products an affordable alternative for everyone. 10) If you were marooned on a desert island, which historical figure would you like to spend your time with and why? It has to be Nelson Mandela. Aside from his political brilliance and resilience, his humanity and moral compass during his imprisonment and later freedom are ideals we can all aspire to. Zelda le Grange, Mandela’s Secretary, wrote a wonderful book on how life with Mandela was behind the world stage, he so daringly owned with humility to touch humanity.